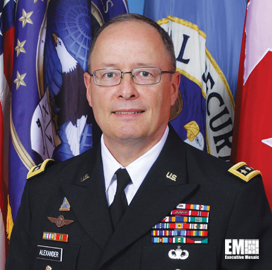 Keith Alexander, former director of the National Security Agency, has projected the world will produce h 3.5 zettabytes of data in 2014, Nextgov reported Monday. Frank Konkel writes Alexander recommended “stronger continuous monitoring” initiatives in order to help address risks associated with the growing big data landscape. “We’re living in the age of big data and we have to figure out how to harness it,” Alexander told an American Council for Technology – Industry Advisory Council conference, according to the report. “Think about 3.5 zettabyes of data. Big data is absolutely vital. The changes that will come to our nation in science, technology, biomedical and health care will be phenomenal,” added Alexander. Alexander also told the conference that “a more defensible architecture” is needed to protect sensitive information, Nextgov reports.